In earlier blog, we discussed who can approve on Approval Process? 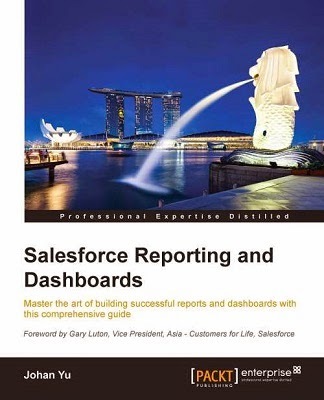 Once user submit a record for approval, approver will receive email to approve or reject, this email is based on email template in Approval Assignment Email Template, but by leave this email template blank, Salesforce will use 'default' template. But, the approver may missed that email, so the request never been approved or rejected. User also cannot re-submit for approval, by default Submit for Approval button is removed by system after submit for approval. 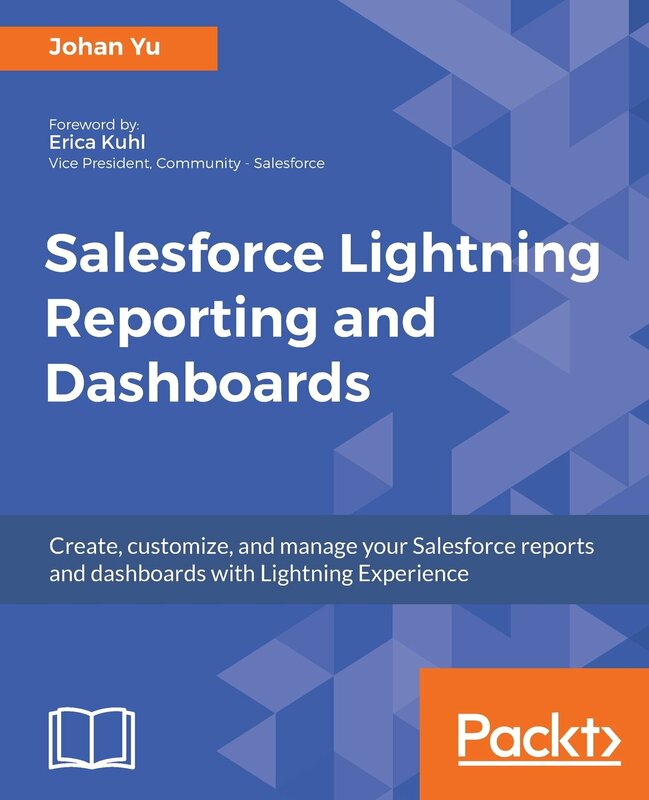 To track all pending approval requests, admin can run and schedule a standard report called All Pending Approval Requests report, but this will be additional work for admin to manually follow-up on this. 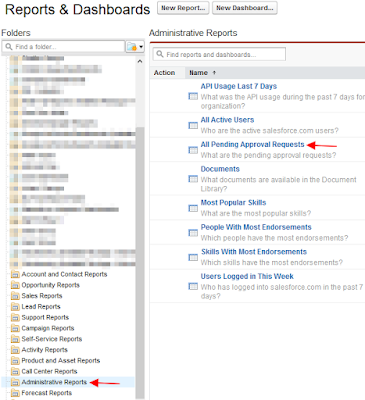 Go to Reports tab - Administrative Reports folder - All Pending Approval Requests report. Solution: create Workflow with Time-Dependent action for Email Alert. With Time-Dependent Workflow Actions, we can define multiple email alerts for different timing to send alert to approver prior approval / rejection. 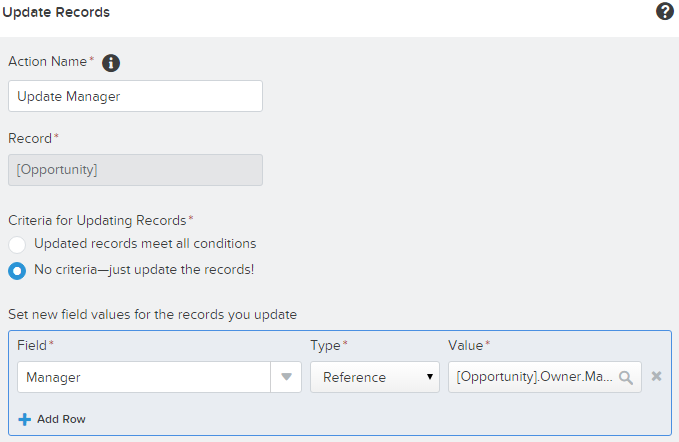 we can leave Submit for Approval Date Time field, so understand the records has been (or when the last) submitted for approval, but rejected/recalled. c) Remember to Activate the Workflow. Issue: the recipient in email alerts (point 3b above). The recipient in this case would be the approver. Assume the approver is the record owner's manager. Looking at available recipient type in email alert, there is no option for Owner's Manager. 1. Create a custom Lookup field to User object, this field will show in Related User in the recipient type. You need to have apex trigger to populate owner's manager to this field, but if you are not the #DeveloperHero, use option (2 and 3) below. 2. Similar with option (1) above, create a custom Lookup field to User object, this field will show in Related User in the recipient type. 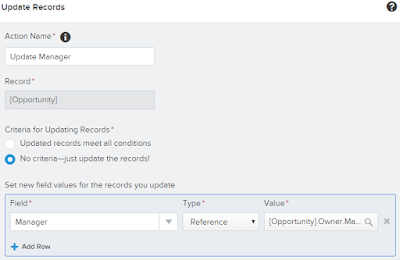 But, instead of using apex trigger to populate owner's manager, you can use Process Builder with action Update Records. 3. Create a custom Email field, this field will be shown in Email Field in the recipient type. 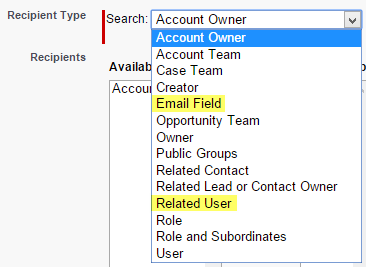 You can populate owner's manager email address by using Field Update action, Formula Value = Owner.Manager.Email. The Field Update action can be added into Approval Process at Initial Submission Actions. Limitation: if the original approver (Owner's Manager) re-assign the approval process to someone else as Approver, above workflow for reminder will keep send email alert to the original Approver, which is the Owner's Manager. Why Salesforce admins must attend Dreamforce ? Salesforce: Approval Process - Who can approve ?